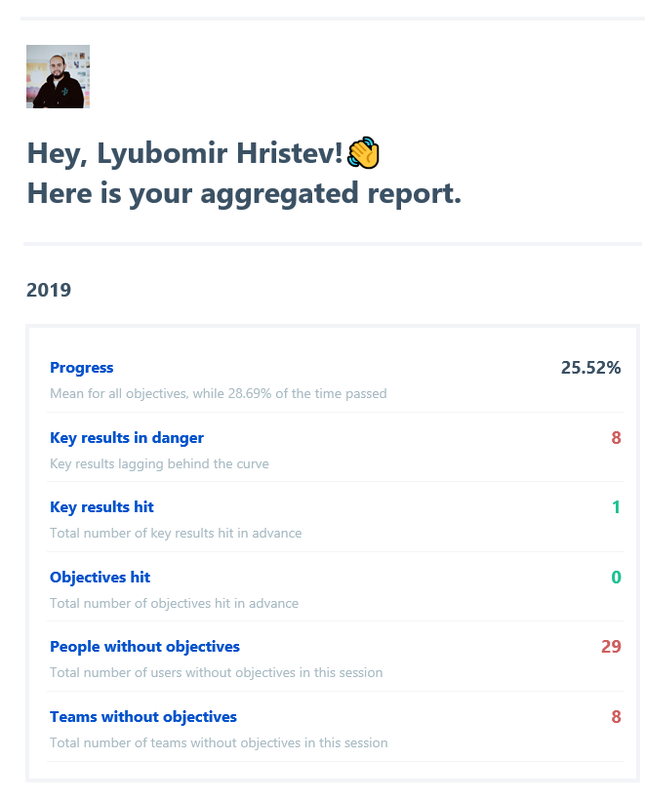 Make sure you stay on top of your OKR process with automated reports. Gtmhub can send you OKRs health statistics automatically. With cadence settings, you can define how often OKRs should be updated, what is the deadline for updating them as well as when should the reports be sent. 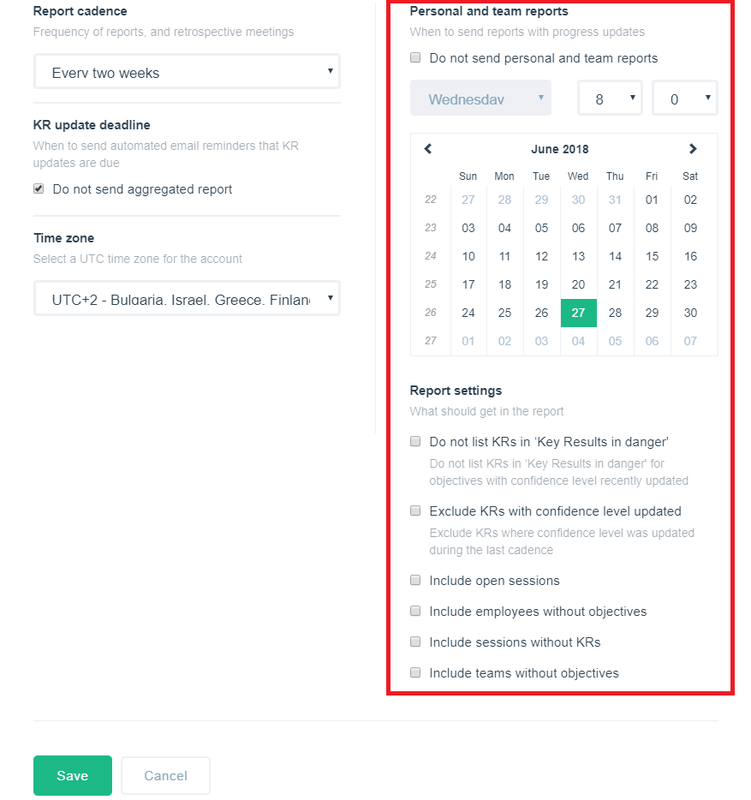 You can also choose whether to turn off email reminders for updating key results (update deadline), the aggregated OKR reports (Personal and team reports) or even both. Quick Tip: The Aggregated OKR email will gather the information from all active sessions that are in an 'In progress' status only. In order to include sessions that are still in 'Open' status, check the box for the relevant option as shown in the screenshot below.